Datafile is a great resource for even a low volume CD-R duplication project. We use only the highest quality materials and are committed to exceeding our customer's expectations. 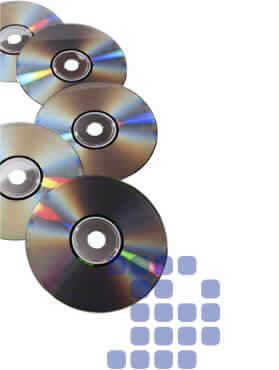 Our standard service includes data verification and every disc is unconditionally guaranteed. Need a few hundred discs to hand out at a Tradeshow in two days? Need 50 discs to distribute to your corporate team? Need a thousand discs copied for your software's beta-test? We can help! At Datafile, a promise is a promise! We guarantee a fast turnaround and courteous service no matter the size of your project. We generally offer a three day turn-around and when possible, next day service. Our fulfillment center is a great resource if you need direct mailing or packaging solutions. Give us a call for an estimate and to discuss your individual duplication needs at 1.800.513.7650, 1.614.885.9050 or email info@datafile-corp.com.